For business travelers Zagreb is one of the most visited destinations in Croatia. As a business traveller, after achieving your aim of attending the event or activity associated with your business, you may want to cross over into leisure travel. A good idea would be to stay at a business hotel in Zagreb close to the airport to save more time on your travel. 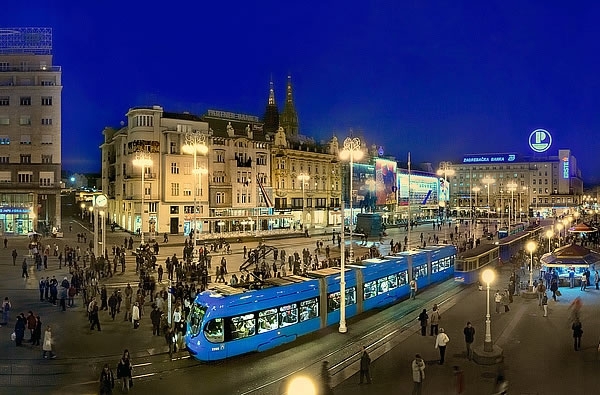 Although Zagreb has excellent public transportation that is very good connected, consider using rent a car service to save even more time on transport. Due to time constraint, you won’t have the opportunity of exploring most of the lovely attractions that Zagreb has to offer. Nonetheless, we will show you how to get the most out of Zagreb in 24 hours. Zagreb has a wide variety of world-class exhibition and conference centres ideal for your business meetings and activities. With just a few hours left in Zagreb, you will have the opportunity of seeing some of the magnificent fascinations within the city and also gain some knowledge about the culture and traditions of the city. Your sightseeing tour will most probably start here. The ever-busy Ban Jelacic Square is the main square in the city. It is popular for having close proximity to some of the city’s major attraction. The square has a statue of Ban Jelacic himself which was erected in 1990. The main square is a place to find the magnificent Dubrovnik Hotel, stores selling some of the best wine in Croatia, several shopping options and the Mandusevac Fountain, a small fountain located in the center of the square. There are also loads of cafes and bars where you can enjoy authentic flavours of Zagreb. With close proximity to the Zagreb’s Cathedral is the Dolac Market. It offers you the chance to see all the sellers and buyers in action. Some of the items on sale here include fruits, vegetable, craft items and much more. Visit any of the fast food stalls and enjoy a delectable traditional meal at an affordable price. 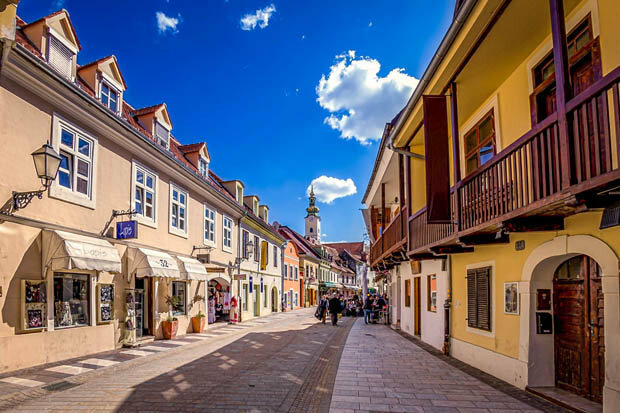 For lunch, the best place to be is the pedestrian-only Tkalciceva Street, known as the most beautiful street in Zagreb. Here you can find countless numbers of exotic café and restaurants that offer a wide range of traditional dishes. For a taste of traditional delicacies, you can visit the Agava Restaurant. One of the must-try dishes is the pasticada which comprises stewed beef, spiced with Croatian prosciutto, vegetables and stone fruit. Located in Ilica street, the Eli’s Caffe is the place to enjoy some of the exotic coffee in Zagreb. After spending quality time here, you can decide on visiting the Jarun Lake, which is a perfect getaway spot and ideal for lounging or strolling. Another attraction is the Mirogoj cemetery where you can find vine-draped architecture and beautifully decorated tombs. The attractions are easily accessible by public transportation. After the day’s tour, head over to the Trilogiji restaurant, for a fine dining experience. Located close to the Old City Gate, the restaurant offers a wide range of dishes colourfully prepared with the freshest and natural ingredients. Although the city is not the most visited tourist destination in Croatia, it most definitely has places worth visiting. If you are on a business trip to Zagreb and have just one day to explore the city, then there is no better way to have fun and experience unforgettable moments. Go to check the Top 5 tourist places in Croatia if do you will stay more days on Croatia. Found some amazing places to visit on your travel. And feel free to see more articles and pages about this amazing country.